The reason I am writing about the act of being “positive” is because of how frequently it showed up in my life. Baseball was the first place in which I realized the importance of positivity. Then it was carried over to my engineering career. This lesson came from one of my biggest mentors known as my Dad, Ted Cormier. Although he never played baseball at a high level he sure did know the mental side of the game. He taught me that to be successful in not only baseball but in life you have to be positive; and not to hope, but know that you will make it happen. I have seen so many good athletes not fulfill their potential because of negativity. In baseball, if you were to have negative thoughts while trying to play, 9 out of 10 times you would get a negative outcome and vice versa with positive thoughts. I soon realized this lesson along with others that came from baseball also applied to real world situations. 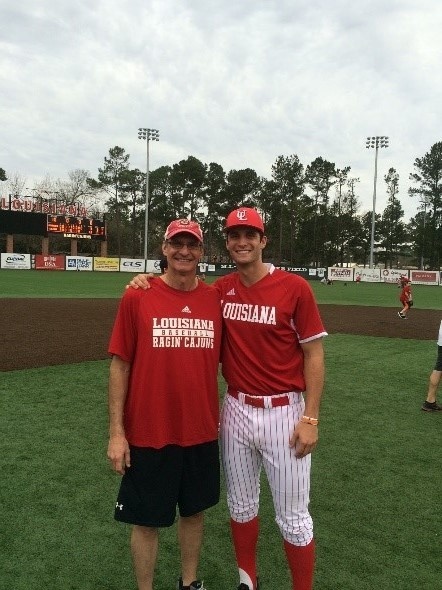 Over the past two years I played baseball at the University of Louisiana at Lafayette under Coach Tony Robichaux. Last year he gave the team all different books to read over the winter break. 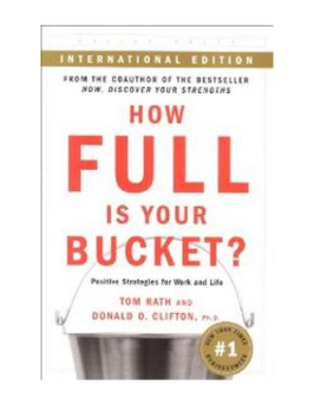 “How Full is Your Bucket?” was the book that I was given. As you can guess, it is a book about the benefits of positivity in everyday life. This book uses the business world as one of the main topics that is affected by positivity and negativity. It has plenty of facts as to how negativity can hurt a business and stunt the creative thinking of its members.The one that stuck out to me the most was when the author Tom Rath talked about his study that generated an estimate of $250 - $300 billion dollars of productivity is lost due to negativity. After reading the book it led me to start noticing negative and positive people and how it was affecting their life. I also started analyzing myself in certain situations to try and turn the negative into positive. I have interned at other businesses and I have seen firsthand how negativity and positivity from the staff can shape a company. From the first meeting I had with Blaine LaFleur, CEO of Stonewall Engineering, I knew there was something different about the company. At Stonewall the first thing I was asked to do was to write down my life story to share with my co-workers, and in doing so they sent me theirs. The reason I say this is because from these stories I have seen that negativity is not something that consumes these people. They took their tough situations and turned it into something positive. Working with people that have this type of character bring about a highly energetic and efficient work space. I want you to imagine yourself working with a group of positive people and then a group of negative people. Now ask yourself who would you rather work with? Which group would be more productive? At StoneWall we have a purpose for what we do. Have you ever seen a sports team perform when they play with a purpose? If you have, then you will understand the capability of this engineering team. From the book “How Full is Your Bucket?” they said, “Studies show that organizational leaders who share positive emotions have workgroups with a more positive mood, enhanced job satisfaction, greater engagement, and improved group performance” (Rath, Clifton 28). This positive work environment is not just found within the office, but also among the people that choose Stonewall as their engineering team. At Stonewall we pride ourselves on helping others reach their goals. If a positive work environment is something that you want then Stonewall is the engineering team for you.